I started my winter vacation on December 20 and won’t be back at my desk until January 6. I haven’t taken this much time off work since I got my wisdom teeth out, which was two years ago. This vacation is much deserved and a long time coming. Normally vacation time means rocking lounge wear for most of the day and maybe throwing on an outfit or two to get lunch. This vacation is going a little differently since there are plenty of events planned (more on that later)! First, the holiday season starts with my Mom’s birthday. We went to celebrate at Bleu Olive (Durham folks – get there, right fast and in a hurry!) and I wanted to get a little pulled together for the occasion. Gotta bring the sass when celebrating one’s Mommy. I really enjoy this pairing because it’s classic yet the boots kick it up a notch. The shirt is a new addition and one that I’m super pleased with. Button downs for women with sizeable chests frequently have this tune on repeat while worrying about a button slip. This chambray classic is from the Gap Petite line and surprisingly is not too tight in the arms and gives me room around my chest. These are two wins on top of the fact that it’s CHAMBRAY! 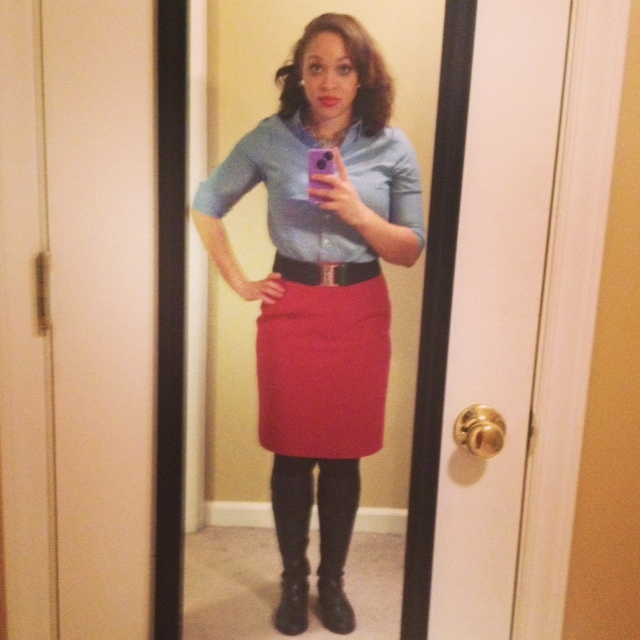 My outfit for 12.23 was simple and functional for some last minute shopping in the rain. 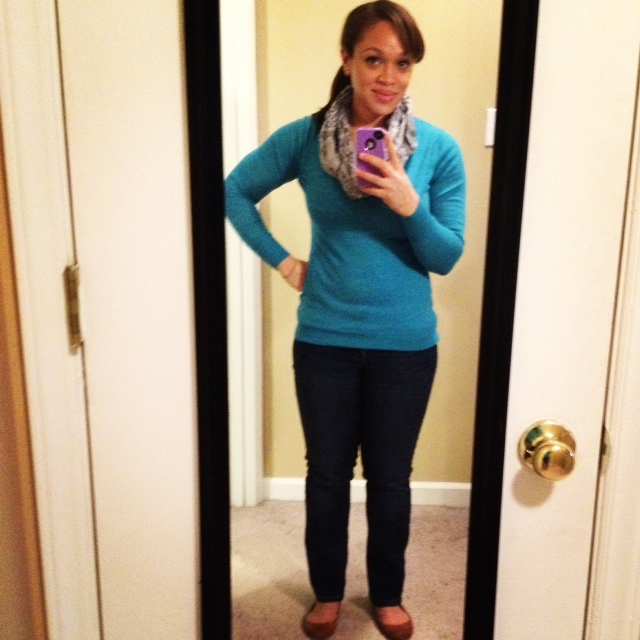 The scarf adds a little texture to the outfit and the teal was my pop of color on an otherwise dreary day. What outfits are you rocking over this holiday week? Check back in to see how I create a casual Christmas outfit!